Last year, just a few days after Valentine’s Day, the grocery store clerk made fun of me in the checkout line. I emptied my cart, placed each item on the conveyor belt, and tried to keep my mouth from falling open as the gentlemen looked me in the eyes and spoke words I can only hope were meant as a joke — something rude that simply isn’t worth repeating, something about being single and having to buy my own flowers. I awkwardly laughed and said nothing at all, too shocked in the moment to say any of the unkind responses that immediately came to mind as soon as I left the store. I drove home, trimmed the stems, filled a vase with tap water, and arranged the flowers. I did all the normal things, all the while hearing his words begin to play on a loop in my mind. 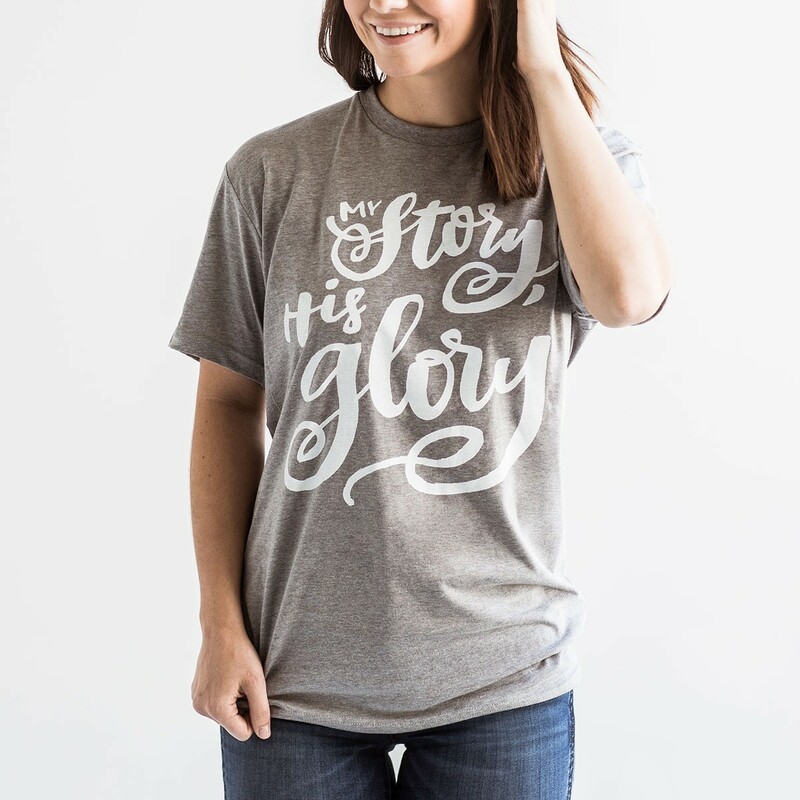 But as I turned them over and held them up to the light, when I opened the Bible and sought out Truth, God spoke clearly of my worth, identity, and security in Him alone. 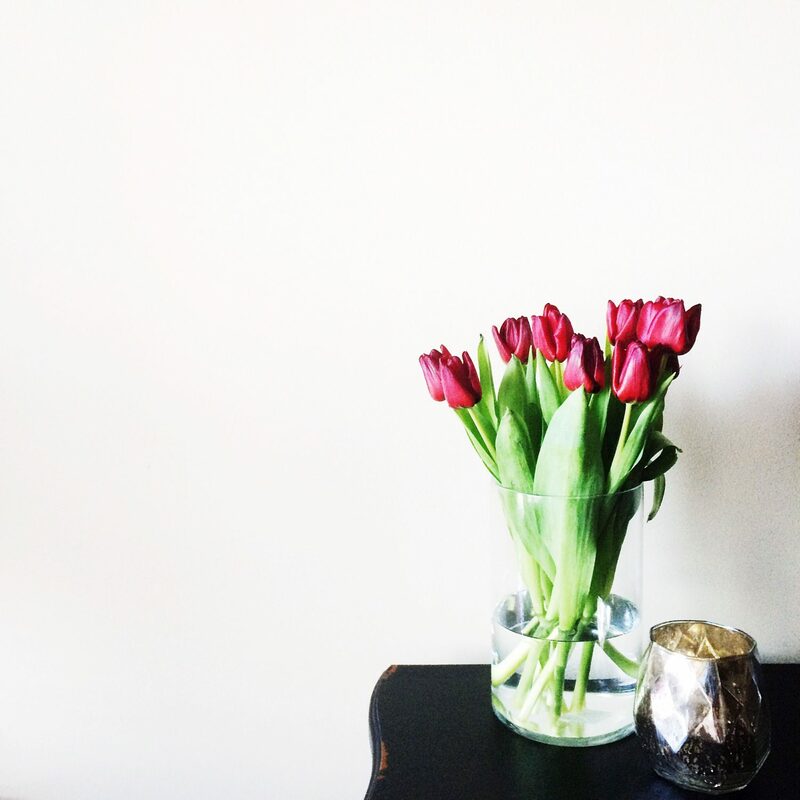 For the next several days, every time I passed the vase of tulips, I couldn’t help but think of every other woman standing in a grocery store line holding a bouquet. You, the woman grieving the loss of a loved one, holding tightly to stems that will soon be laid on a grave. You, the woman celebrating the birth of a long-hoped-for baby, headed to the hospital to say congratulations. 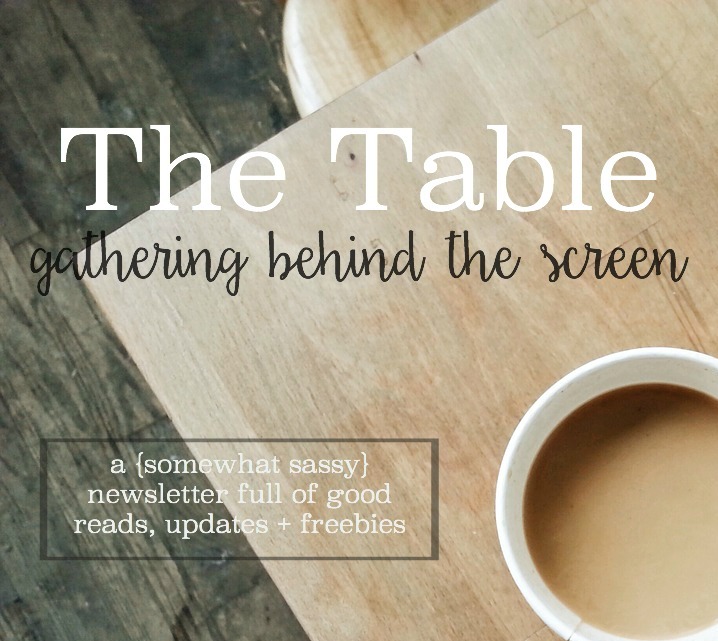 You, the woman preparing for small group, thoughtfully selecting an array to brighten up the table and create a welcoming space. You, the woman surprising a friend who had a difficult day, choosing to show up in both the good and the hard. You, the woman who has decided she’s worth the $5 bouquet. 1. 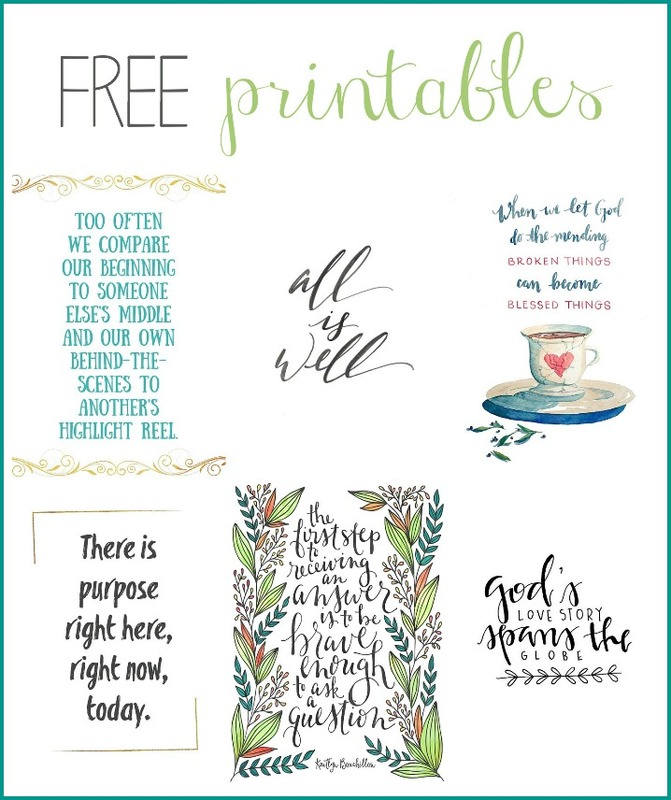 We don’t know all the nitty gritty aspects of someone else’s story, and if we’re going to assume anything it might as well be that they could use encouragement. 2. You don’t need permission to buy yourself flowers, to fill your life with the simple beauty of nature that God created to be enjoyed. For the most part, I stay far away from writing about singleness. If it weren’t for God very clearly leading me to write about trusting Him through singleness and dreams seemingly unfulfilled, it never would have been a chapter in my book. I’ve received more emails and “thank you for going there” messages about that chapter than any other, but to this day the words printed in black ink for anyone to read make me squirm. Because the truth is, although my right-now-life is full of good things, it isn’t what I imagined or dreamed for myself. Putting that on paper and sharing it publicly feels like I’m inviting criticism, throwing a pity party, baring too much of my heart or setting myself up for “There’s no rush, you have plenty of time, just enjoy these days while you have them!” statements. I love my life, and I enjoy this season. I’m doing my very best to take every moment for what it is, see it as a gift, learn more about myself, and sink my roots deeper into God. He is more than enough, and I truly am satisfied in Him. But that doesn’t mean the dreams have disappeared. Unless God answers them or takes them away, I’m quite certain they’re here to stay. Maybe your dream is to birth a child or write a book. Maybe you long for peace at home. Maybe you’re desperately hoping for physical healing or reconciliation with a loved one. I’m not here to tell you there’s no rush. I won’t hush or hurry you through the hurt. Whatever dream is near and dear to your heart, it matters. It holds weight. But I do pray that you and I will remember that there are challenges on both sides of every mountain. The grass is not greener on the other side; the grass is greener wherever it is watered and tended to. And so I’m going to water the heck out of the single life, choosing to follow Him with my whole heart, to fix my eyes on Him and anchor myself in Truth, trusting the heart of the One who made me and placed these dreams inside. And I’m going to do each of those things while believing and hoping and praying for the dreams He’s placed within me to come to life. I’m going to buy myself flowers. Don’t stop dreaming, friend. Hold onto Hope, trust His timing, and believe He is only ever faithful. But also? 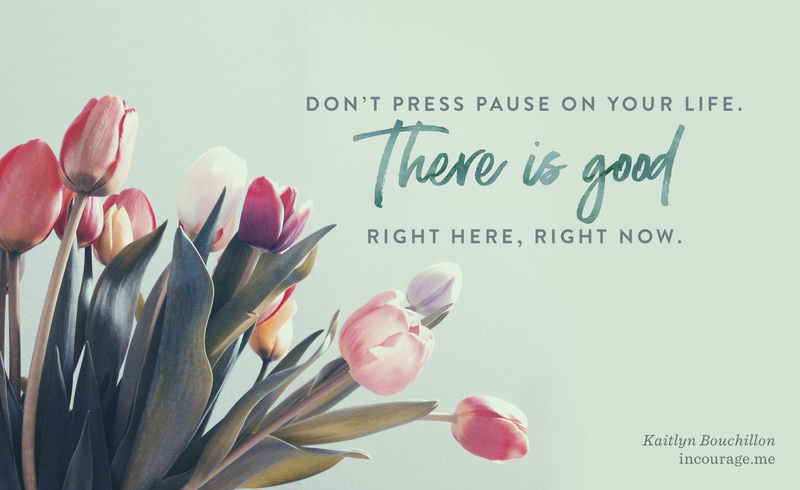 Don’t press pause on your life. There is good right here, right now. Buy a bouquet for yourself or for a friend this week — just because. I can’t promise that you won’t receive strange looks or stinging barbs in the checkout line, but I hope you’ll hold your head high and remember that you are loved and cherished, seen and valued. May we be women who stop looking at another person’s grass and longing for what they have, and instead tend to what God has placed right under our own two feet. May we only speak words that make souls stronger, never belittling or hushing but instead encouraging and lifting one another up. And may we cling to hope and trust the Dream-Giver, believing that His timing is perfect and His heart toward us is kind. Buy the freaking flowers and love them. Just burns me up how some people are so mean. Righteous anger. I’m allowed. I love you reminders here to look for and hold tight to God’s love for us. Kaitlyn, your beautiful words are needed and so I’ll be sharing them to offer hope to those who might not know to stop by here. I’m grateful for that. Thank you Marva! It’s a conversation that I hope we’ll begin to have more and more. I used to think spending any extra besides bare essentials wasn’t wise, but God has opened my eyes and heart up in many ways. He has not only helped to be better at finances where I *can set aside the funds, but he has helped me not walk around wearing guilt like a head scarf. To know I am loved, lovable, and can love on myself and it’s not a bad thing, has been freeing. I come from a conservative background and feel like some of the things I picked up on as a child weren’t even picked up right, so as I grew, my thoughts about myself were twisted. I suuuper appreciate you writing this because there are many out there who still need to be freed from falsities. Guilt like a head scarf. What an image you’ve painted with words. Thank you for sharing and commenting, Meg! Great post. we all can learn from it, no matter what our status. we should buy ourselves flowers. We often find it so easy to be kind and generous with others, but not ourselves. We must learn to have the same compassion for us as God has. Loved this! I’m glad to hear you think so… One of my hopes with this post is that it would encourage and apply to women who are – and who aren’t – single. Absolutely love this!!!!! I bought myself once on valentines day years ago when I was single. It was really freeing and beautiful! 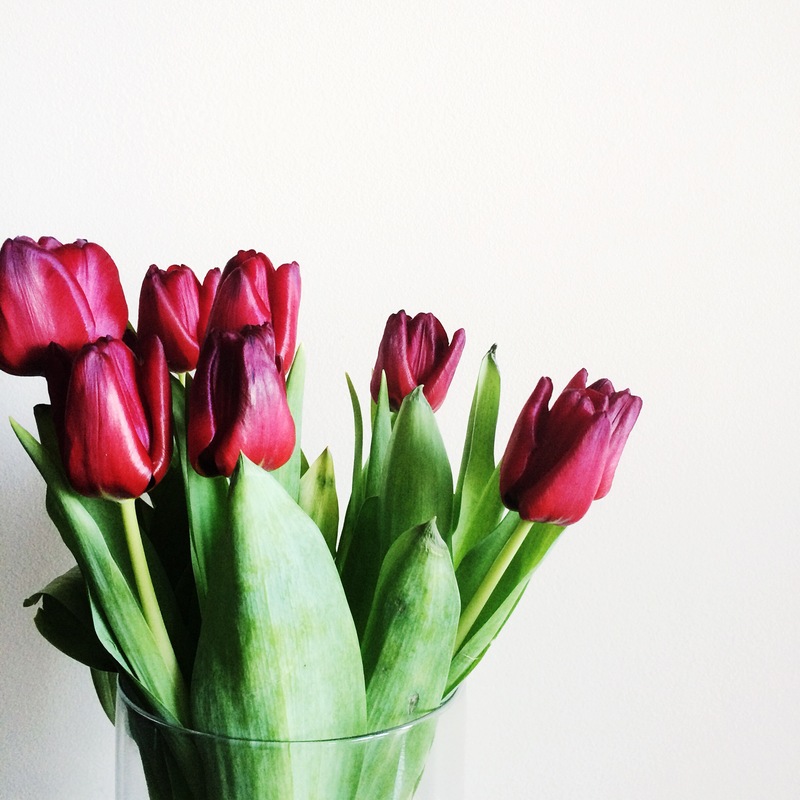 I do buy myself flowers – not because the world says I’m worth it – but God does, as you say. Watering your here and now will hold you in good stead for the then and someday. (I know this!) Beautiful post. And i’m glad you didn’t throw the flowers at him … on the other hand. Thank you for sharing these precious words. I feel so seen and understood. I’m buying my own flowers for Valentine’s Day this year because my husband is wrestling with a mental health diagnosis that has strained our marriage nearly to the breaking point. We are clinging to hope in God who makes all things new. I am fixing my eyes on Him and learning to find my worth in His love alone, and not in the health or unhealth of my marriage. Aimee, before writing back to you here I paused to pray for you and your husband. Thank you for sharing a small piece of your story here. Earlier this evening, I was reading a chapter in Remarkable Hope by Shauna Letellier. It releases in a few weeks, but I’m leading the launch team and have an early copy of the manuscript. As I was reading the chapter about despairing hope – and how Jesus revives our hope – I started to tear up and said out loud “You bring dead things back to life. That’s just what You do.” I pray the same will be true for you – that hope is revived He receives all glory. What a beautiful post! Just lovely! What an encouraging post to read — been there and I can s000o relate. 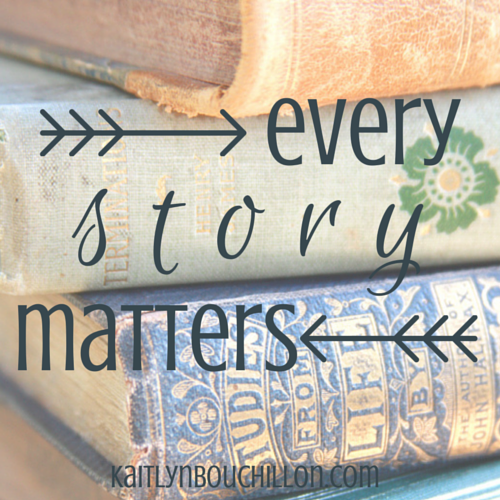 God is faithful and He is writing an amazing story through your life. “The grass is not greener on the other side; the grass is greener wherever it is watered and tended to.” Amen. Thanks for such an encouraging post! I’m your neighbor at #LMMLinkup. 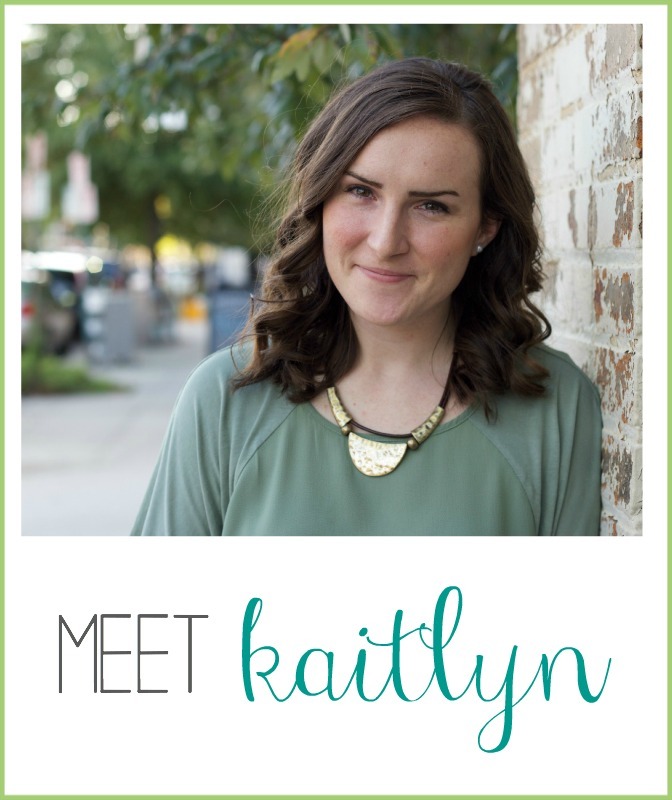 Blessings to you, Kaitlyn! Hey Gayl, thanks for reading and taking the time to comment! 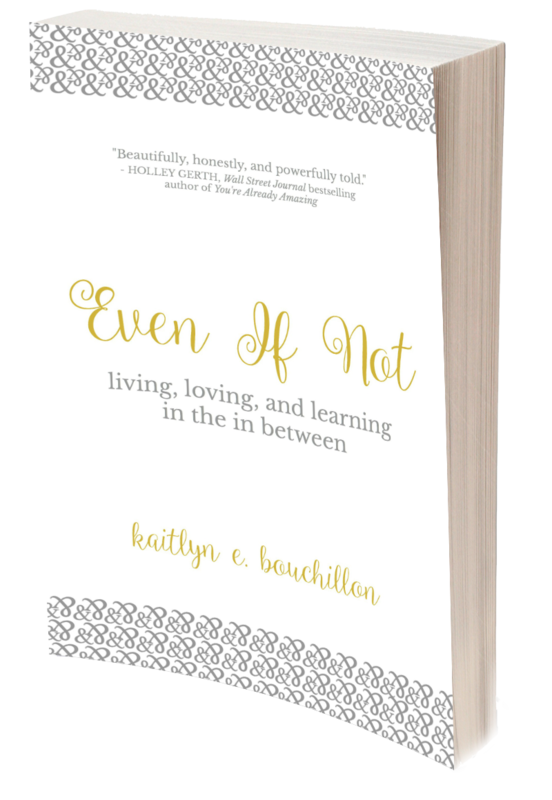 Kaitlyn, This is so important and so beautifully written! I’m looking forward to sharing it all over! Blessings! Thank you Deb, that is so kind of you! You have no idea how I needed this today. I am taking a break right now to go buy myself the flowers. Just want you to know God is using you today to speak to me down deep. I would love to see the flowers you bought! :) I don’t think the comments here have a way to upload a picture, but if you post them on social media please tag me. So glad you bought the flowers.